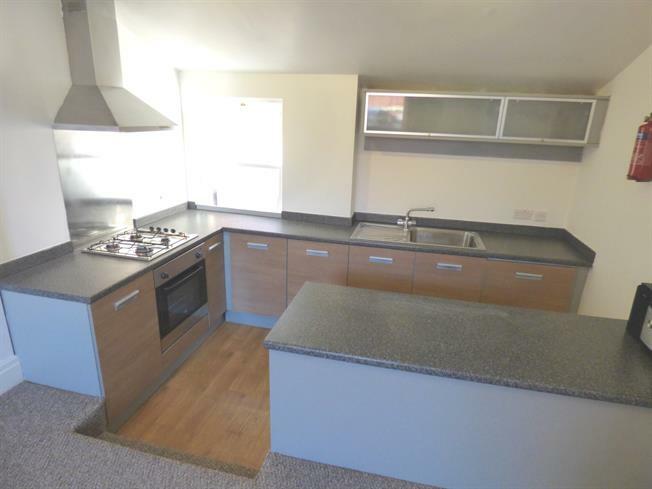 Perfect first time buy or investment opportunity - Modern one bedroom apartment boasting an open plan lounge-dining kitchen, master bedroom with walk-in-wardrobe and allocated parking space. Situated within walking distance to Preston Railway Station and city centre amenities. No chain delay and viewing highly recommended. The spacious accommodation comprises; lower hallway, open plan lounge-modern dining kitchen with integrated appliances, master bedroom with walk-in-wardrobe and modern three piece bathroom. Double glazing and gas central heating system. Wood panelled door, radiator, under stairs storage housing the boiler and staircase leads to the first floor landing. Single glazed window and radiator. Double glazed sash window to the front and radiator. Double glazed sash window to the rear, range of modern wall and base units with complementary work surfaces, gas hob and oven with extractor, stainless steel splash back, stainless steel sink and drainer, integral fridge, freezer and washer laminate flooring and radiator. Double glazed sash window to the front and radiator with walk-in-wardrobe. Modern three piece suite comprising; bath with shower over, wash basin, low flush wc, tiled walls and flooring, radiator and single glazed window to the front.